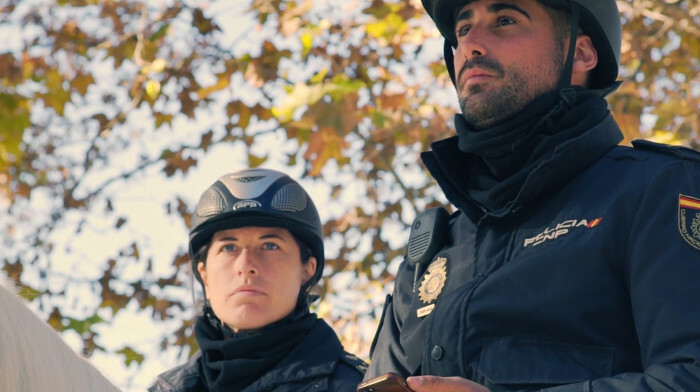 "The security forces deal with 63 cases of bullying, communicated with the app AlertCops"
Depending on the area you are in, you may receive citizen security warnings to be prepared and collaborate with the Law Enforcement Agencies. "AlertCops allows the arrest of a man who broke the restraining order"
What is the AlertCops ‘Test Alert'? One of the AlertCops icons that you will find in your start menu is the "test alert". This alert, unlike the other buttons that you will find in it, is not used to communicate a criminal act to the Security Enforcement Agencies. Here we explain what it is for. The application's test alert allows you to verify if the system is working well. What does this mean? This means that when you press this icon, the app checks that your alerts are going to be processed properly. After pressing it, if everything is correct, the message that will appear in the application will be the following: "The system can process your alerts". Is this the alert that I should press if I want to try the app? Our advice is that if you want to know how AlertCops works, do it using this icon. In this way, you will make sure that the app is operational and that it will respond satisfactorily when the time comes to use it, before a real alert or emergency. 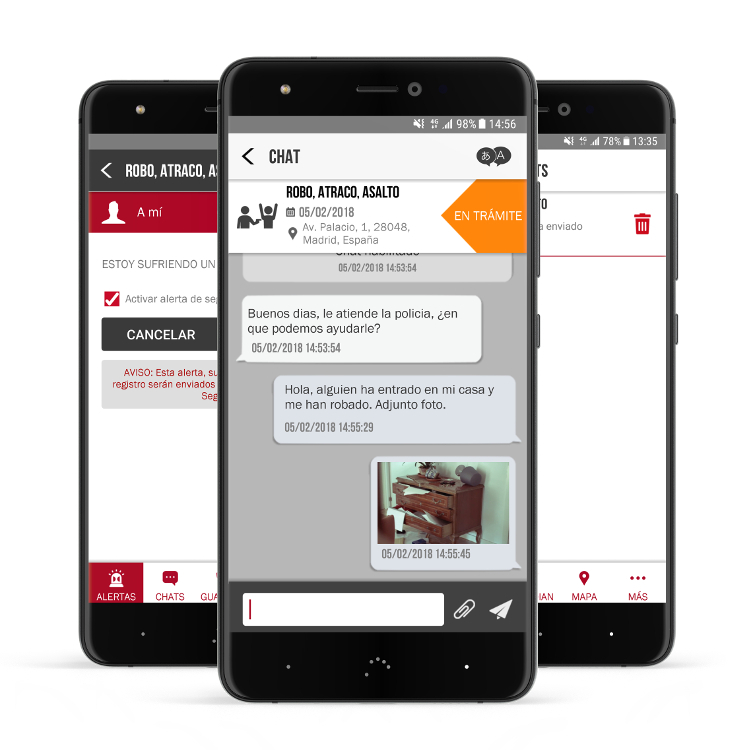 In addition, with this alert you facilitate the work of the operators that attend the alerts, thus achieving a faster and more efficient service. What do I do if the test alert gives me an error? First, you should check that you have installed the latest version of AlertCops (4.0); otherwise, we recommend that you uninstall the previous one and download and install the new one. 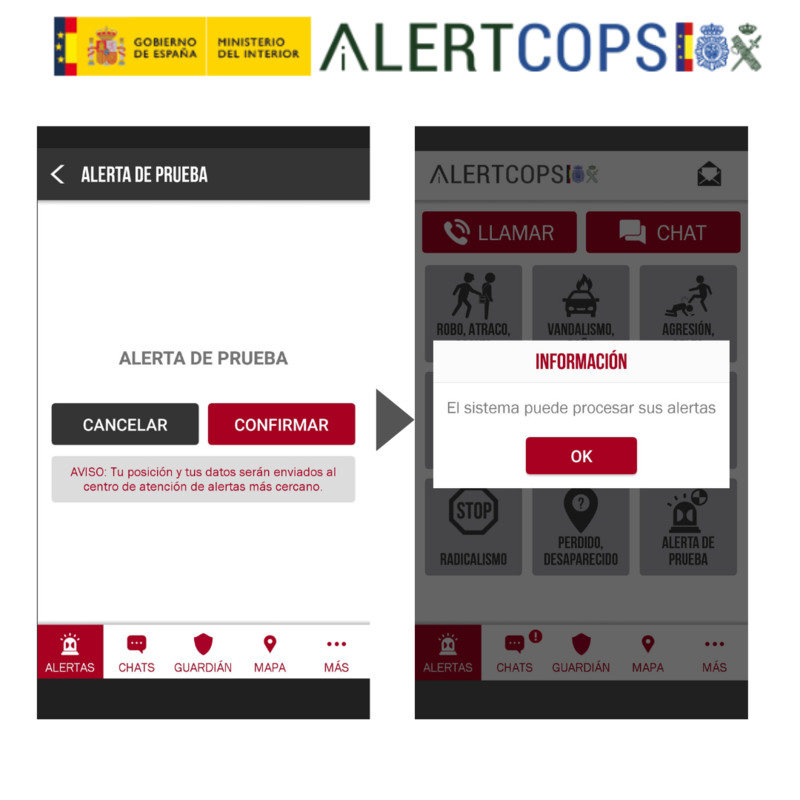 If the problem persists, you can contact us detailing your incidence to alertcops@interior.es to be able to give you a personalized and effective response. The 'Javieradas 2019', which are held on the weekends of March 10 and 16, are celebrating their 79th edition. This popular party takes place in the town of Javier, in Navarra, in honor of San Francisco Javier and has a high participation of citizens from all over the country. 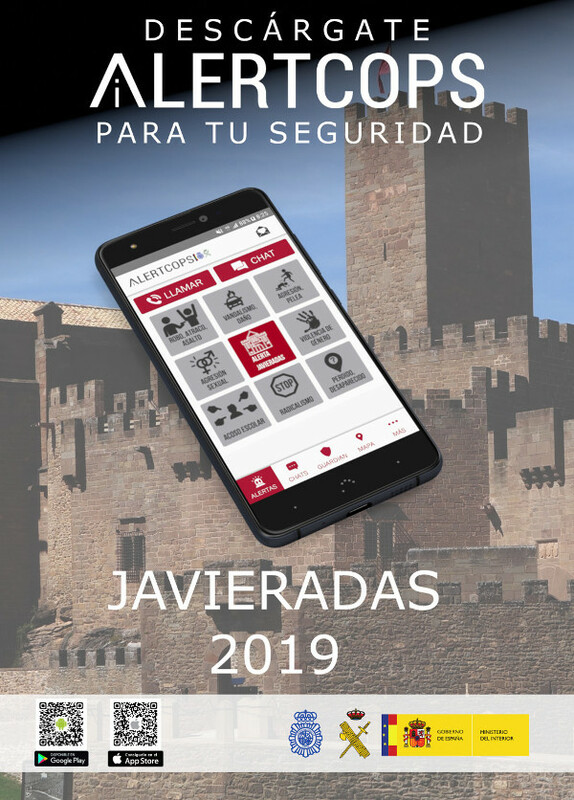 The AlertCops application launches for this event a specific version: those who attend the 'Javieradas 2019' and download the application can receive geolocated security warnings if there is an emergency in the area. Javierada is the term for an event that has centuries of history. Its origin seems to date back to the 19th century. At that time, on March 4, 1886, the Provincial Council of Navarra organized a pilgrimage to the castle of Javier, symbol of this Navarra town, to venerate San Francisco Javier. The reason was the celebration of a fact: Navarra was one of the few regions that did not suffer the cholera epidemic during this year and they believed that the saint was the one who had helped them avoid it. This anecdote is still commemorated today. 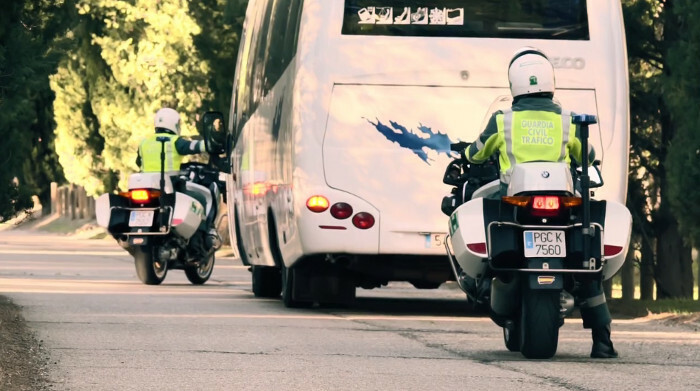 Every year, in the month of March, thousands of pilgrims circulate on the roads of the town until the end of the route: the castle of Javier. A pilgrimage of more than 50 kilometers where a festive atmosphere is breathed. This year, the event also has a wide deployment of security. 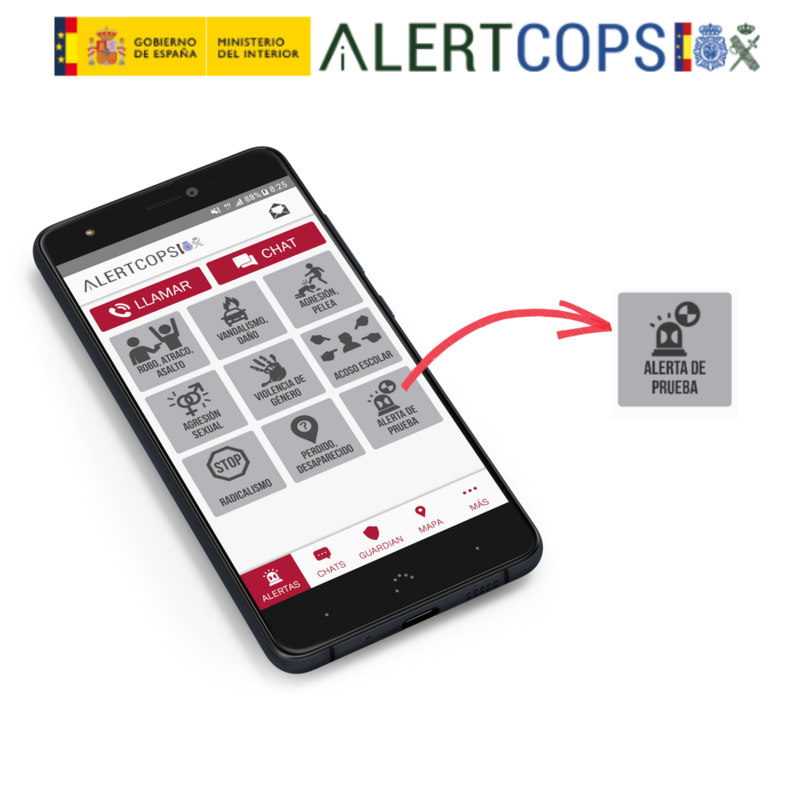 As an additional tool to increase security during the 'Javieradas 2019', AlertCops incorporates a personalized alert that will remain active during all days that this event takes place and will only be displayed in the area defined for it. 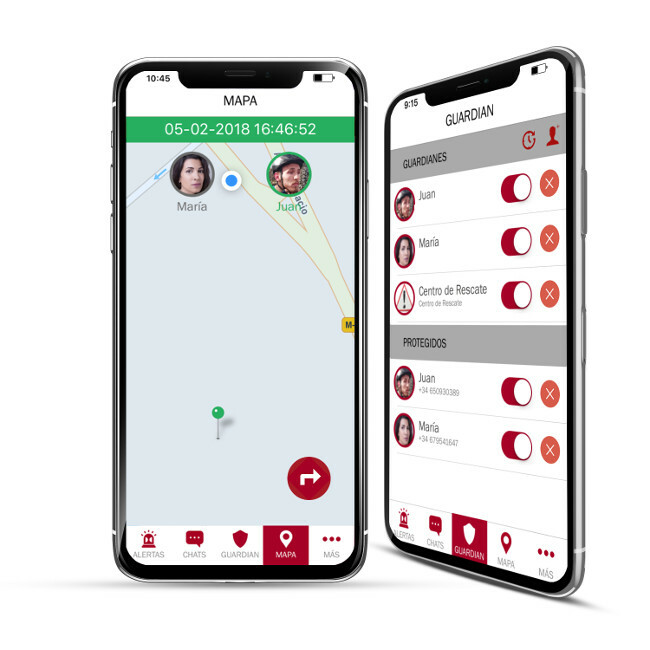 Through the app, users who are in Javieradas will be able to communicate any incident to the authorized security centers. In addition, they may receive informative notices to collaborate, for example, in the location of missing children in the area. Likewise, in case of an emergency, they will receive specific advice for the detected emergency. All with the objective that citizens who attend these days have a communication channel with the Law Enforcement Agencies that is quick and effective. How do I report a crime with AlertCops? Did you just suffer a robbery on your street? You cannot locate a relative and you think he has been lost? If you find yourself in these situations or simply want to feel more secure at all times, AlertCops is the application you need. With it you will have a direct communication channel with the the Law Enforcement Agencies. Everything through your smartphone! AlertCops is free and allows you to communicate crimes to the the Law Enforcement Agencies in a simple and very discreet manner. To use it you just have to register, open the app and press the alert button specific to your icons menu. This way your position will reach the nearest control center. It's as if you were taking an agent of the Law Enforcement Agencies by your side! Communicate any criminal act only with your mobile. In the initial screen of the application you will find a menu of icons. 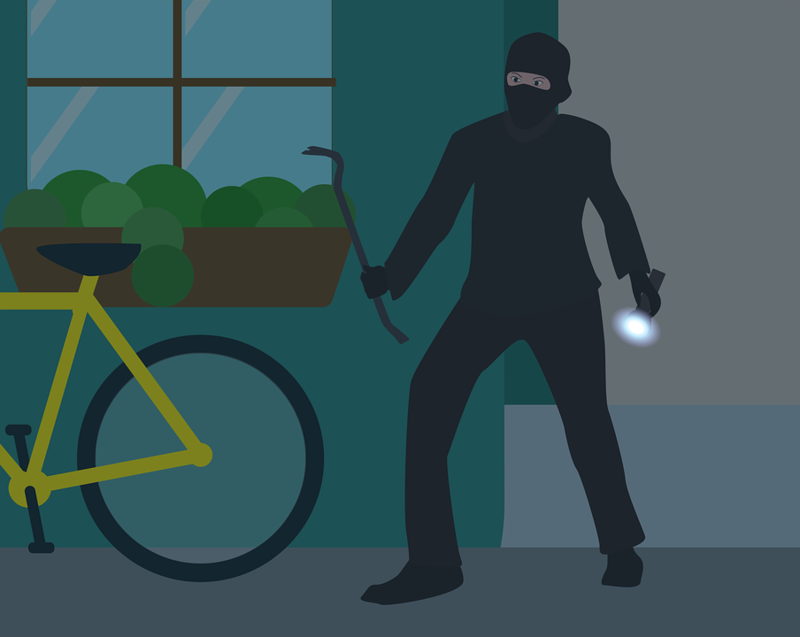 If you have been a victim or witness of a crime, you only have to press the specific icon, for example, to communicate a robbery, a disappearance or an assault, among others. To whom has it happened? You can indicate if the alert has happened to you or you have witnessed it. After pressing the CONFIRM button, your position and your data will be sent to the Law Enforcement Agencies. The latest version of the application (4.0.) is available in the official markets of Android and iOS. Download it now and you will have another way of security in your pocket! 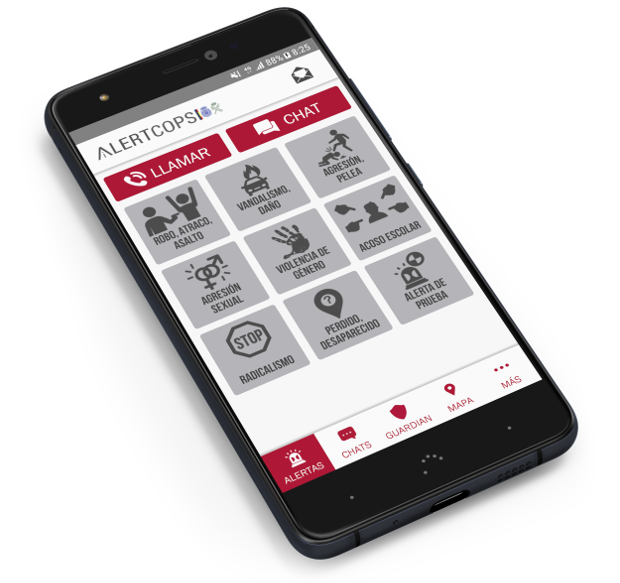 The new and redesigned app, AlertCops, is now available on Google Play and App Store. The new features included in this version will improve your security. If you want update it, it is necessary to delete the previous version of your mobile and download the new version from the markets. 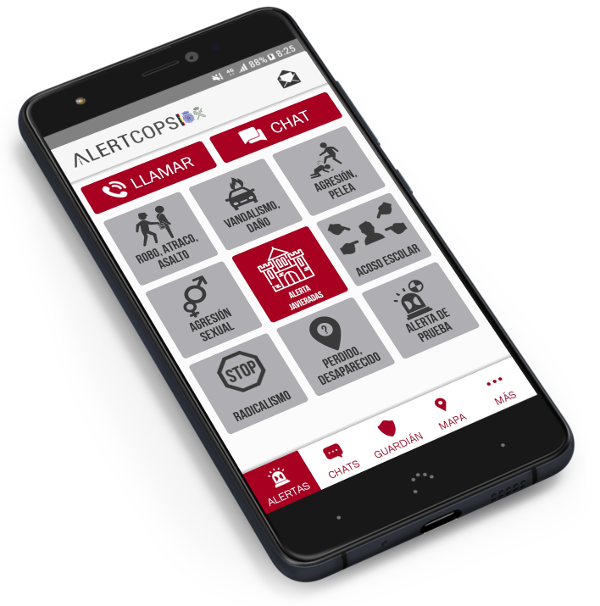 AlertCops allows you to share your position with the people you want or with a rescue center. You can also send photos and videos to the public security services or periodically send your position during the time the alert is active. Moreover, you will receive security, emergency or informational notifications depending on where you are or chat with public security services in your own language.